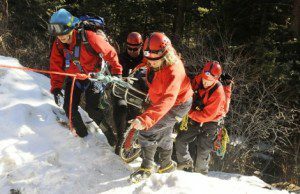 Every year, people get lost in the wilderness areas and are rescued. But some vanish and are never found. The statistics are frightening. Don’t become one. Learn from these common mistakes to keep from dying in the backcountry and possibly winning a Darwin award. The older couple at the Swampy Lakes trailhead, north of Bend, Oregon, were obvious newbies. They struggled to put on their rental show shoes, and were seriously underdressed for potentially cold weather. In Boy Scout mode, I walked over to assist them, and noticed they had absolutely no survival gear. I gave them a map of the snowshoe trails, and offered some survival fire starter and matches. I tried to help them orient the map, but the woman was impatient to be off. In Deschutes County, Oregon, where I lived for 20 years, the Search and Rescue team is one of the busiest in the nation. The area is flooded with tourists year round, and many of them see the pristine wilderness between Bend and the Cascades Mountains as a kind of Disneyland. That is a similar scenario in tourist towns with easy access to wilderness. Here are some common mistakes. No prior knowledge of the area: You’re on vacation, right? The idea is to have fun, go with the flow and be spontaneous. These rescue candidates leave for outings with virtually no preparation, no survival gear, no knowledge of the area or any idea of the potential danger. For example, who worries about drowning in the desert? But flash floods kill more desert travelers than thirst. And what about forest fires? Last year in Oregon, a kid started a fire with fireworks that required emergency personnel rescuing several groups of backpackers. Have some idea of what you might be getting in for! Dressing inappropriately: I heard this story from a Deschutes County Search and Rescue first responder. The SAR team had re-grouped at the Green Lakes Trailhead, after searching in vain for a lost hiker. As snow flurries filled the air, a group of tourists, lightly-dressed in hiking sandals, shorts and tee shirts took off, headed for the backcountry. Team members looked at each other in disbelief, and wondered if that group would be their next search. Know the fabrics in your outdoor clothing, and don’t make the wrong choices. There are many good outdoor fabrics on the market, but beware of cotton. Depending on where you live, cotton clothing can kill you. Cotton is hydrophilic, meaning it is no good at wicking wetness away from the skin, and cotton can become damp just by being exposed to humidity. But that doesn’t mean that cotton isn’t a fine option sometimes. I spend a lot of time in the Deep South, and my favorite hot weather shirt is a medium-weight, white and 100 percent cotton Navy Surplus shirt. Cotton also has a modest amount of UV protection. No survival gear: It is just stupid to not carry some survival gear. I never leave my house without minimal items on my person, including a pocket knife, lighter and various other items in my survival kit. Always take extra batteries for your GPS, and a map and compass. No navigation gear: Most survival situations, I’m guessing, start when someone gets lost. 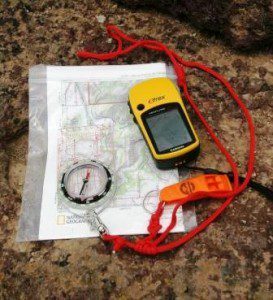 It doesn’t matter where you’re going, a map and compass should be required gear. GPSs are as reliable as their batteries and satellite signals. None of this gear is worth anything if you don’t know how to use them. Related: Should you include fishing gear in a pocket survival kit? Backups are a good idea and your survival cache should have several. Several years ago, my brother, Mike Pantenburg and I were elk hunting in the Idaho backcountry. 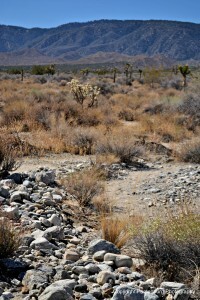 Mike had been following his wrist compass, and was relying on it to get him back to the trailhead. After a particularly nasty bit of bushwacking at dusk, Mike looked at his wrist for the directions back. You know the rest of the story. Luckily, Mike had a backup compass in his fanny pack. Always carry navigation gear, and remember, the compass is always right. The GPS? Not so much. Find safe drinking water: Dehydration can kill you. Carry a water container, and a filter or chemicals to purify the water. Filters are all the rage with backpackers, as are water bottles with built in filters. Don’t drink from any water source that is suspect. Just because the water looks clear and clean doesn’t mean it is safe to drink. Use some common sense. Illnesses from giardia or most nastys in water can be cured with antibiotics. Death from dehydration can’t. So here’s a quick tip for anyone who is going into the wilderness: Use your Smartphone to write a note. Send a text to someone who will contact SAR if you don’t return on time. Call up Google maps , find a map of the area you’re going and send that with the text. Here is what you need to include in the note. Check out the 2018 Darwin Awards.